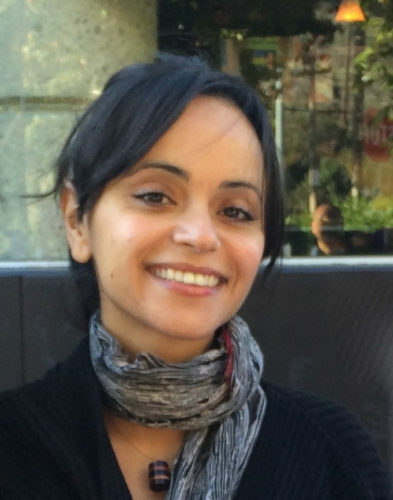 Lara Kiswani is from Beit Iksa and Aqir, Palestine, and was born and raised in the Bay Area. She got her masters in education with an emphasis on equity and social justice where her work focused on young Arab women, language and colonization. As a student organizer, she was a cofounder of Students for Justice in Palestine, helped to establish the Middle East South Asia Studies program, and organized with Third World Forum at UC Davis. She has worked as a youth and adult educator, is a lecturer at San Francisco State University in the College of Ethnic Studies, and the executive director of the the Arab Resource and Organizing Center (AROC).